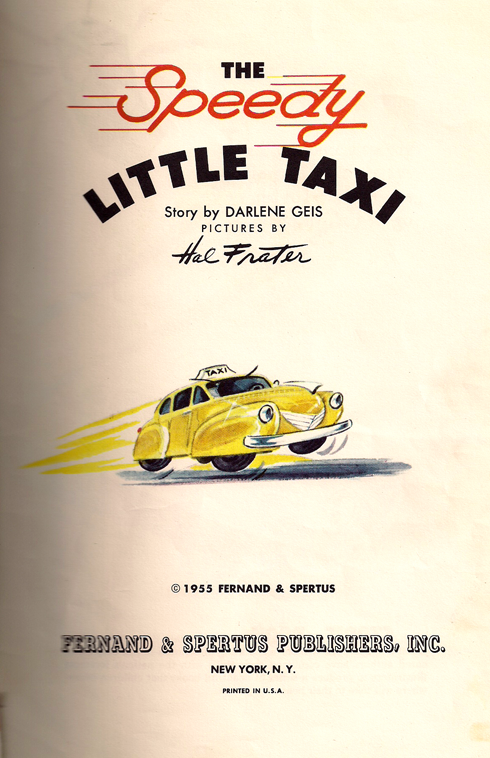 I recently stumbled across one of my favorite childhood books, The Speedy Little Taxi by Darlene Geis. 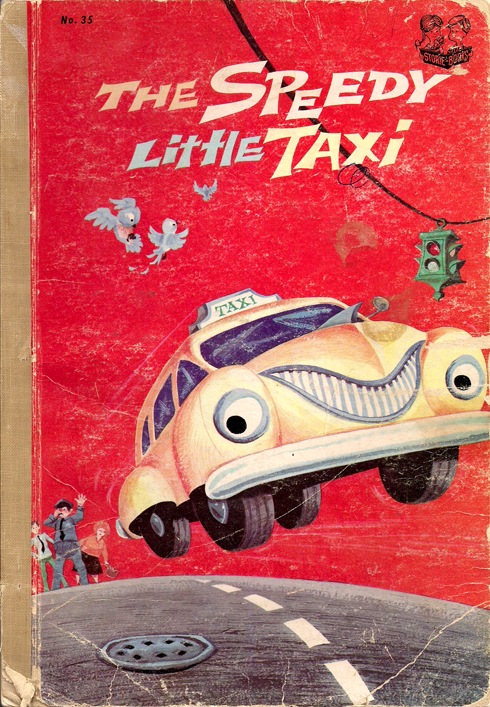 The story is of a yellow taxi who speeds everywhere and keeps getting tickets. 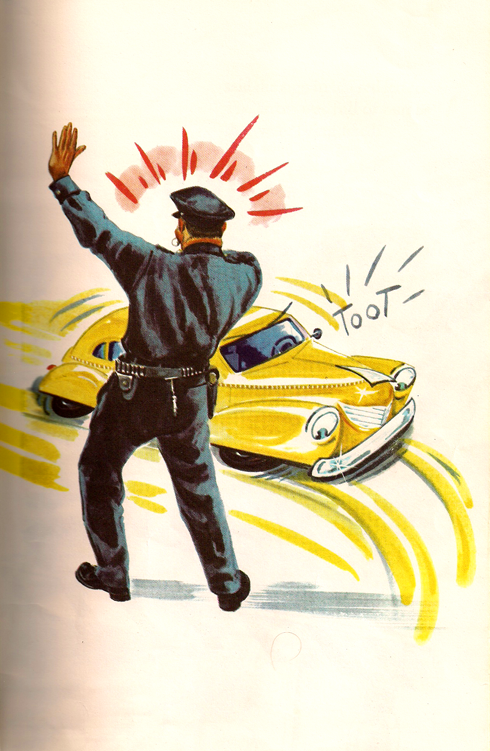 His owner then tries painting him a bunch of different colors in the hopes that he will slow down (or to hide him from the cops more likely). He still gets tickets, but in the end the fire department is so impressed with how quick he is and how he always gets everywhere first that he becomes the fire chief's car. It's a great lesson. Do whatever the hell you want and eventually somebody will see your genius and give you a job to match, haha. 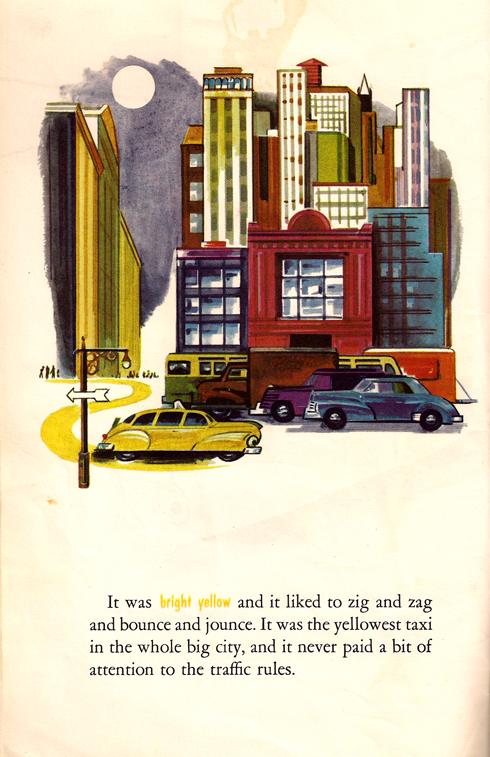 I was amazed that this old book was actually from 1955, but I suppose its age is showing. Still, the pictures are as cool as I remember them and I wanted to share of a few of my favorites. 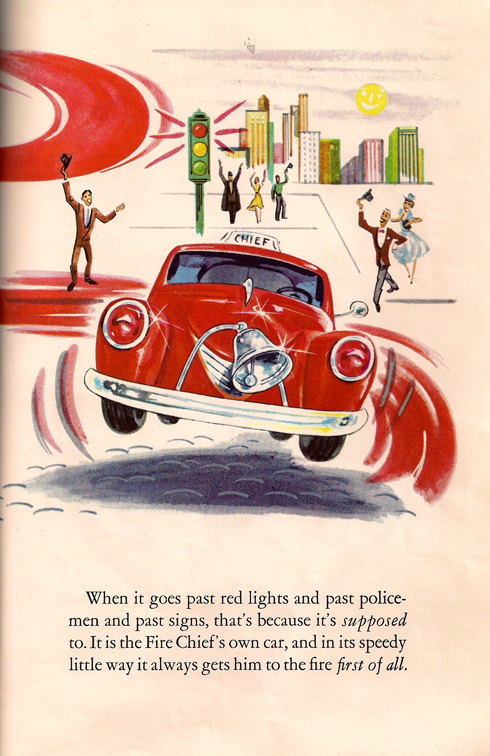 Not surprisingly, I've discovered quite a few of my books were about cars.